This exploratory study addresses the question of a feasible complementary economic model for the teeming population in sub-Saharan Africa (SSA) that lives at the subsistence level. The study rationalized the contention that SSA is in a development straitjacket and its much-touted economic rise is more rhetoric than reality. Postmodern Keynesian economics has failed in most of SSA; therefore, an economic paradigm shift is advocated toward “commonomics.” The study draws upon documentary evidence to posit that SSA’s rise is trumpeted by international organizations, nongovernmental organizations (NGOs), and SSA governments for various “self-serving” reasons adduced in the study. Despite this purported rise, in 2018, 17 of the world’s 20 least competitive economies are in SSA; the middle class is rapidly disappearing; corruption has become a means of livelihood across all socioeconomic classes; and the youth are fleeing their countries, as exemplified by the treacherous transatlantic crossings into Europe. In SSA’s quandary, Africans who are nostalgic about the “good old days” opine that, until the postcolonial era, SSA’s resource base enabled people to meet their basic needs cost-effectively and sustainably and that the consumerism and greed that typify the postmodern era of Keynesian economics were nonissues in traditional SSA contexts. In these societies, commonomics, the term used for the model prescribed in this study, was the economic ideology and model. Commonomics aims to meet people’s basic needs through collaborative grassroots initiatives, where the inputs and outputs of production, distribution, and consumption of goods and services are initiated, governed, managed, and sustained by grassroots citizens. Guidelines for implementing commonomics are outlined in the study. 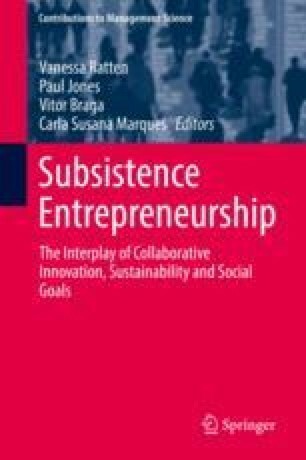 An earlier version of this paper was presented at the 18th EBES Conference, School of Business Administration, American University of Sharjah, United Arab Emirates, 8–10 January 2016.